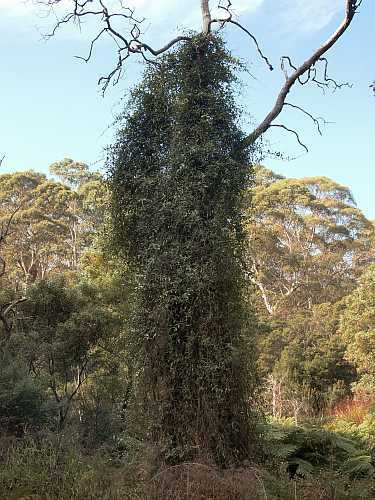 The Riparian forest runs along the banks of the creek in the moist fertile soil, prickly currant bush(Coprosma quadrifida) forms a tunnel and climbers proliferate in this gully, their scrambling habit ensuring they receive maximum light. Mountain silk pod (Parsonsia brownii) is a tall climber with lanceolate leaves which is covering a dead Blackwood tree on the left hand side of the path. Pods contain a mass of silky hairs around the seeds. Another climber is forest clematis (Clematis aristata), these plants obtain maximum light for photosynthesis by clambering over tall plants . 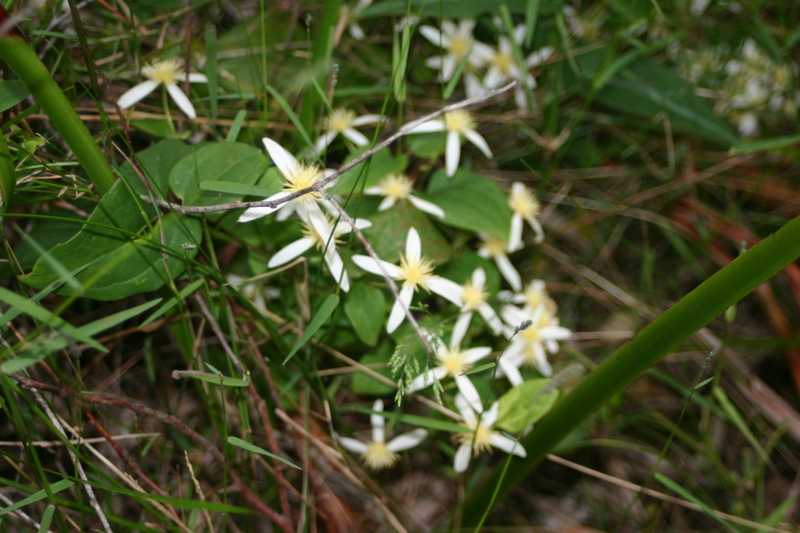 Clematis aristata is found throughout the gully. 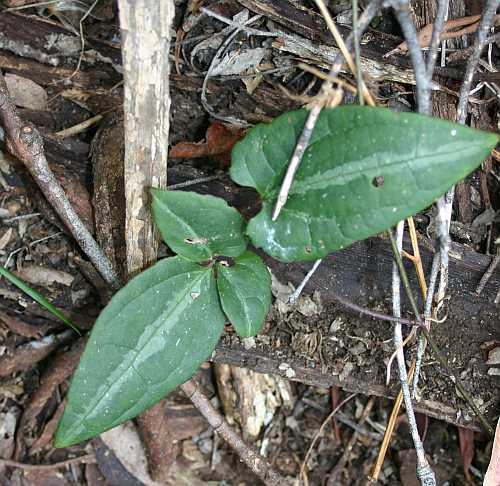 Young leaves are distinctively striped and the vines are a mass of flowers in the spring. It is often known as old man’s beard due to the soft parachute hairs around the seeds.